The toolkit is available for download free-of-charge by clicking on the links below. 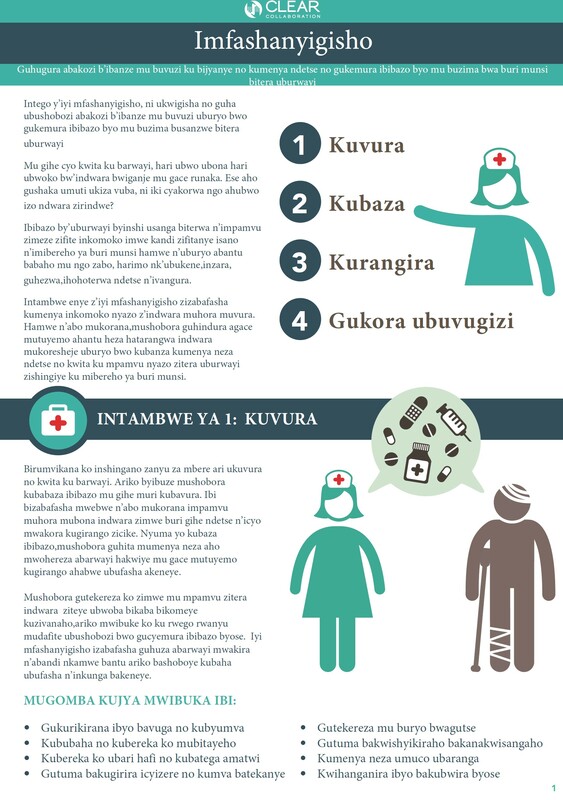 There is an accompanying trainer’s manual to facilitate adapting and implementing the CLEAR toolkit in your local context. The toolkit has also been translated into over 10 languages, so that you can access a copy in the language of your choice. If your desired language is not listed below, download and complete the translation template and we will be happy to assist you. If the CLEAR toolkit does not exist in your local language, we can help you to format a translation of the toolkit. Please click the English numbered version below to use as a starting point, and then enter the translation into the corresponding boxes in the translation template document. Once that is complete, please contact us and we can assist you with the next steps. 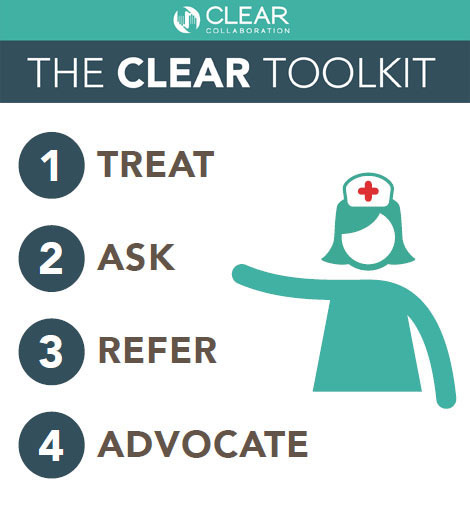 The CLEAR toolkit is a clinical decision aid developed to help physicians, nurses and other allied health workers (e.g. midwives, community health workers, etc.) 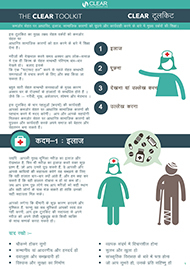 assess different aspects of patient vulnerability in a contextually appropriate and caring way and easily identify key referral resources in their local area [download here].